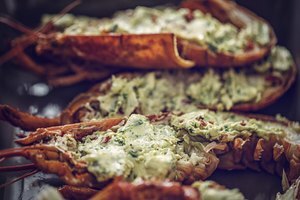 Out-of-the-shell lobster meat is easy to prepare, and can be enjoyed throughout the year. 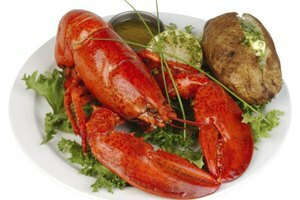 Lobster meat is delicious and is high in potassium, calcium, zinc and amino acids. 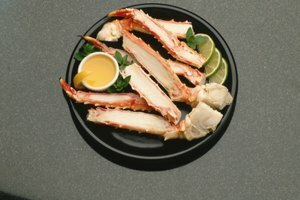 Lobster meat is readily accessible year-round, though most lobsters are caught on the East Coast. With the help of a few kitchen utensils and less than 20 minutes cooking time, you can prepare a mouth-watering meal for any occasion. Lay the live lobsters on a carving board. To severe the spinal cord, insert the tip of a sharp knife right behind the head. Take your knife and cut along the tail down the center of the back. Pry the shell halves apart with your hands. Sever the tail from the head, and use your knife to remove the intestinal track and discard it. Remove the tail meat from the shell by running your knife blade between the meat and the shell. Discard the shell, rinse the lobster meat under cold running water and pat dry with a paper towel. Fill a 2 qt. saucepan with five cups of water and bring to a boil. Place a colander inside and run a wooden skewer through the lobster tail meat. This will prevent it from curling up when being steamed. Place the lobster meat inside the colander, cover the saucepan and steam for 10 to 12 minutes. The meat will be firm and white when properly cooked. Preheat your gas or charcoal grill. Remove the lobster meat from the colander using tongs, and rinse under cold running water to stop the lobster from continuing to cook. Pat the meat dry with a paper towel and brush with a thin coat of butter. Place your lobster meat on the grill and cook each side over a medium heat for one minute. Transfer your lobster meat to a serving tray and serve immediately with melted butter and lemon wedges. Purchase fresh lobsters from a reputable retailer. 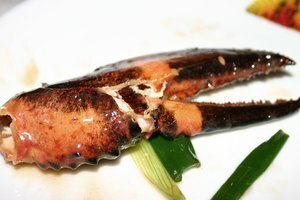 Do not buy lobsters that have yellow discolorations or black spots. Do not overcook lobster. Gary Smith began writing in 2006 and in 2009 published his book, “Fortune in Foreclosures.” As a California-licensed real estate broker with a mortgage industry background, Gary has served on political and legislative government affairs committees and worked as a financial adviser for ICM. Gary earned a Bachelor of Science degree in business administration. 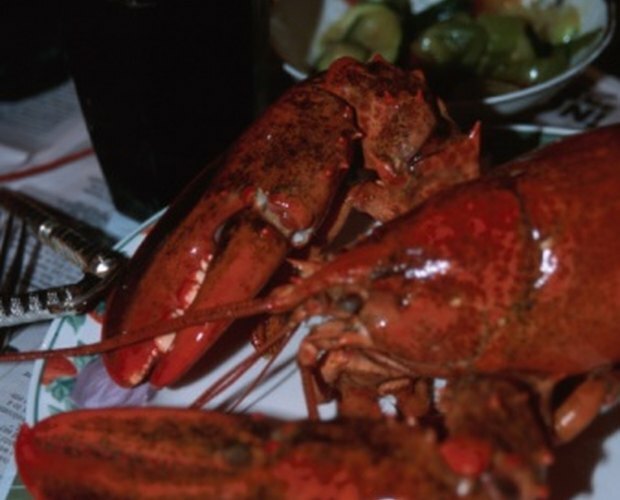 When Does Lobster Go Bad? What Cuts of Meat Come From a Pig? How Long Can Lobster Stay in the Fridge Before Cooking?